Everyone has bias. It's a part of the human make up. But when left unchecked, biases can have a negative impact in every interaction. With the vast amount of diversity that makes up our global workforce, the level of complexity and potential conflicts that can arise from unconscious bias is sure to increase. The goal of this course is to underpin the discussion on diversity and inclusion and cultural competence by helping participants move from unconscious to conscious awareness of their own biases. Through video discussions and self-reflection activities, Dr. Davis will guide participants through several real-world examples of how biases play out in the workplace and how they impact individual and organizational behavior. She will outline their impacts on selection and hiring decisions, collaboration, team effectiveness, and productivity. She will also discuss them in the context of microaggressions, micro advantages, and disadvantages. Dr. Davis will conclude this course with strategies for how participants can and should address bias in the workplace. Explore the various ways the unconscious mind impacts our interactions with others using theory, research, and experiential exercises. Explain new-neuro and cognitive science research on how the human brain makes decisions that impact not only diversity but in every other human judgement. Describe how unconscious bias manifests in decision making in every area of the employee life cycle (Hiring, Onboarding, Employee Evaluation, Performance Management, Development, Team Collaboration, Trust-Building, etc.). Explore your own patterns of perception to identify the particular lens through which you see the world. Strategies for how to address bias in the workplace. We find that the educational process is enhanced through interactive learning. Throughout the course Dr. Davis engages participants in their learning process through worksheets, handouts, and quizzes. Are you looking for a more personalized unconscious bias program? We offer the option to customize this course with your organization's branding and a personalized video from your CEO. Three year licensing options are also available for housing on your company's learning management system (LMS). Who doesn't want to be awarded for their success? Upon successful completion of the video modules and a passing grade on the final quiz, participants will be awarded a Certificate of Completion. 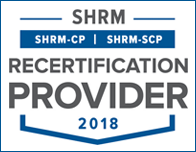 Dr. Shirley Davis and SDS Global Enterprises, Inc. have passed the rigorous scrutiny of both the The Society for Human Resource Management (SHRM) and Human Resource Certification Institute (HRCI) and has earned their Approved Preferred Provider Certification. 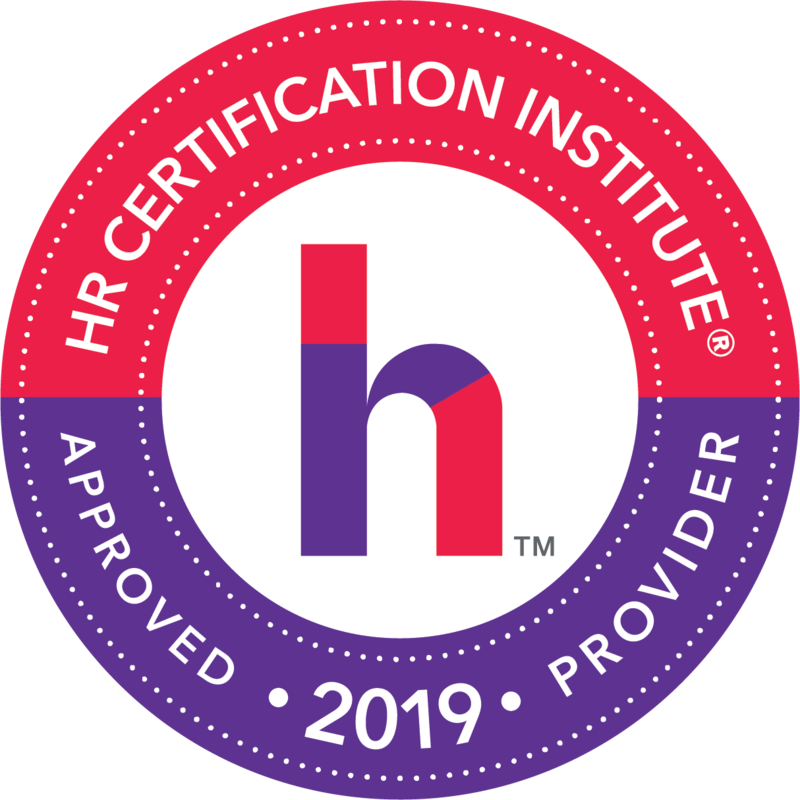 This important certification means that SDS Global Enterprises’ programs meet the standards and requirements of the HR profession’s Body of SHRM Competencies and Knowledge instituted by SHRM and HRCI’s strict guidelines for offering HR education. Therefore, SHRM’s Professional Development Credits (PDCs) and HRCI’s continuing Education Credits (CEUs) and Certificates of Completion for programs provided by SDS Global Enterprises may be awarded. Module 4.3 - Which Biases Are Ours? Bulk pricing options available. Contact info@drshirleydavis.com for further details. Dr. Shirley Davis, CSP, is an accomplished corporate executive, global workforce management expert, a certified leadership coach, and a master of reinvention. She works with leaders at all levels and has worked in more than 30 countries on 5 continents and delivers more than 80 speeches a year. She brings a high-energy, high-content and high-value message to audiences all around the world. With over 20 years of business experience in a variety of senior and executive leadership roles with Fortune 100 companies, Dr. Davis’ expertise lies in providing solutions and strategies for achieving leadershipexcellence and in building high performance and inclusive workplace cultures where all talent can thrive. Most recently, she worked at the world’s largest HR membership association, the Society for Human Resource Management as Vice President of Global Diversity and Inclusion and Workplace Strategies. Dr. Davis has also been a featured expert on NBC’s The Today Show, the Wall Street Journal, National Public Radio, USA Today, HR Magazine, Profiles in Diversity Journal, CNN.com, and Inclusion Magazine. She is the author of, ͞Reinvent Yourself: Strategies for Achieving Success in Every Area of Your Life,͟ and ͞The Seat: How to Get Invited to the Table When You are Over-Performing and Undervalued.͟This year, she was honored to become an author for LinkedIn Learning and launched her new online course entitled, ͞Inclusive Leadership.͟She is a Certified Speaking Professional earned through the National Speaker’s Association, a designation bestowed on only 12% of speakers worldwide.She is also a former Miss District of Columbia, Ms. Oklahoma, Ms. Virginia, and in 2000 she won the national title of Ms. American United States. In 2017 she was inducted as a Board Member of the National Speakers Association and will serve for three years. President, SDS Global Enterprises, Inc.